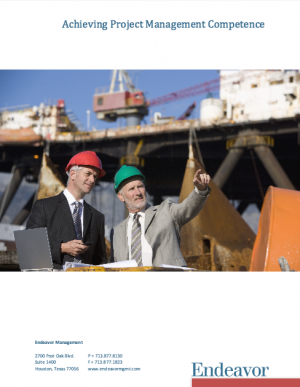 In the Oil & Gas sector (Upstream, Midstream, and Downstream refining and petrochemicals) asset owners, EPCs and technology solution providers are confronted with reinventing the core of capital projects delivery, so that certainty of project outcomes and asset revenue goals are realized during asset life. Those who embrace systemic changes in project delivery organization culture, strategy, leadership, work processes and tools will set themselves apart from their competitors. They will be driven by accurate data throughout the project life cycle that meets the needs of the operating asset. Our focus is on the basic fundamentals that have the greatest impact on project success. 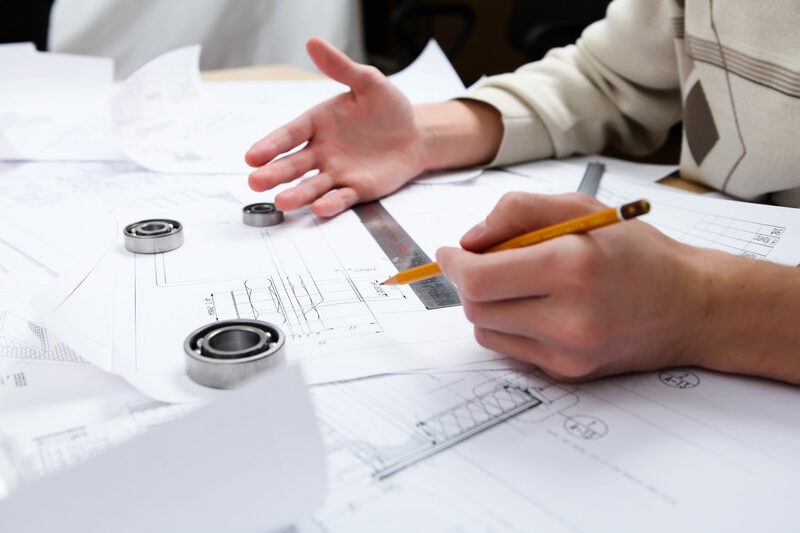 We use proven processes and a toolkit to diagnosis, design and implement sustainable solutions to a business, project, capital team and asset operations. Endeavor bring tools, methodology and expertise to enable its clients to integrate people, processes and tools. Our project advisors each have more than 30 years of direct experience in project development and execution and a deep understanding of the management of change. Endeavor Management has an experienced Project Effectiveness team with a dual focus on the “hard” and “soft” aspects – structure (process/technical) and people (leadership and teamwork) elements. 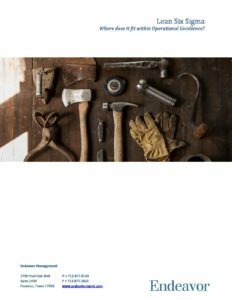 This can be implemented side-by-side with organizations and teams such as the asset owner, stakeholders, and supporting service and contractor groups. 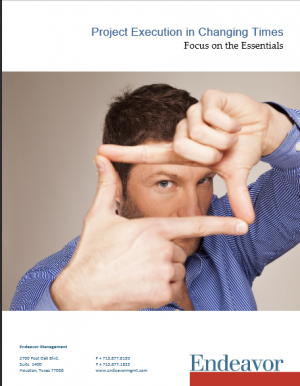 The approach is grounded in the premise of effectively delivering results through a focus on simplification and essentialism. The approach considers 10 essential areas of focus categorized in 3 groups: Capability, People and Delivering to Goals. 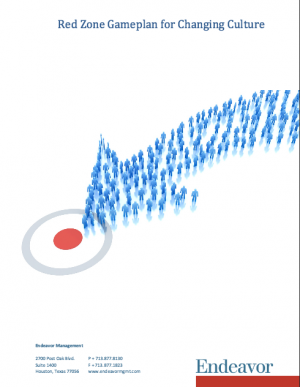 Endeavor Management collaborates with the client to define the objectives and scope of specific target improvements in three focus areas: Project Capability, People, and Delivering to Goals. Design: Working with the leadership we design the scope of an engagement that will produce systemic change by involving key stakeholders and those impacted by and influencing change. Services includes organizational change, strategic and tactical change, leadership team alignment, project team integration, individual and team coaching, and work process development. 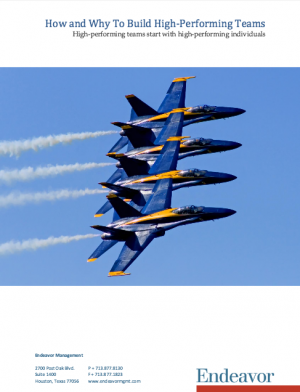 Implement: Typical actions in this phase include complexity reduction projects, executive coaching, behavioral alignment throughout the organization, and cultural alignment / team development workshops. We believe that this approach works best as a collaborative relationship working in partnership with our clients. Sustain: The goal of this phase is to create a people advantage that allows the organization to sustain the change without having to rely on outside consultants. Typical activities could include critical thinking and purpose driven workshops, coaching on leadership attitudes and actions, constructive feedback, and cultural check-ups. Practical and relevant Project Management and Organizational Change experience derived from direct industry project involvement for each of the areas of focus. Project delivery experience in oil and gas and plant process facilities in most global locations including frontier regions. Understanding, though prior roles with direct delivery accountability, of capital project issues related to complexity, scale and geographic locale. Direct delivery accountability for capital projects that included implementation of emerging and newer technology. Practical-based organizational alignment and executive coaching experience as a result of prior roles the in oil and gas industry. You get only the experience of those that have been there and done that. The Endeavor Management Capital Project Effectiveness Team members are practitioners each with over 30 years of direct experience in a project driven organization and environment in the Oil and Gas and Petrochemical industries. We can relate and empathize with your project and organization environments. Radical changes to megaproject delivery will bring first adopters a distinct competitive edge, while writing the epitaph of those who stay stuck in legacy ineffective practices. 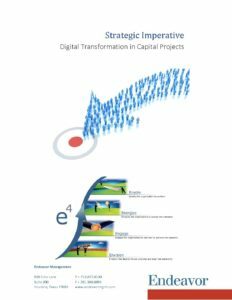 Whether you are an operating asset owner or an EPC, you are confronted with reinventing the core of your capital projects delivery through digital solutions. Such strategic transformation requires holistic change that focuses not only on installation of a new software application, but also on people and work processes to achieve a sustained, culturally intrinsic result from new technology. 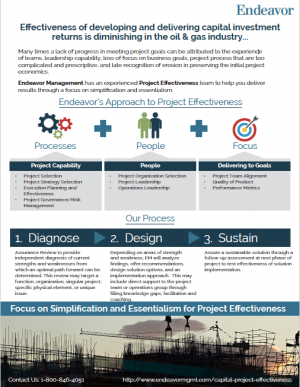 Learn more about how Endeavor Management consultants bring a unique combination of vast capital project execution and strategic change experience. 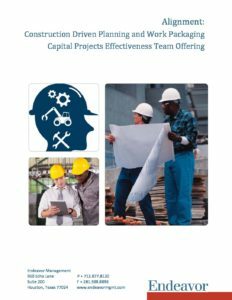 Capital project owners, engineering, procurement, and construction contractors and supporting service organizations are searching for means to dramatically reduce the cost of capital projects. Owners/ Operators are driving change through contracting strategy, contract language, contract deliverables and performance metrics. In response, EPC companies are striving to attain productivity improvements by utilizing plant design, material management, and construction software and technology platforms. Learn more about our Integration offering. Capital project owners and supporting EPC contractors and software / service providers are coalescing on construction driven engineering as a means to dramatically reduce the cost of capital projects. Supported by IPA, CII’s Advanced Work Packaging research and Fiatech’s Productivity Improvement efforts. Owners are engaging with EPCs, plant design and construction software providers, and materials management solution providers to revolutionize capital effectiveness by moving from a document-centered, deliverable-based process to a data-centric, end user process. Learn more about our Alignment Construction Driven Planning and Work Packaging. Endeavor Management collaborates with the client to define the objectives and scope of an Assurance Review in three focus groups: Project Capability, People and Delivering to Goals. The review may target a function or organization supporting project development and delivery, a singular project that may be in any phase of delivery, a specific functional element (reservoir, drilling, wells, facilities, operations) of a project(s), or a unique issue. Endeavor Management’s advisors bring objectivity, focus on essentials and constructive, candid dialog that result in clear, actionable solutions. A core element of our Assurance Review methodology is individual and small group interviews using precise, investigative probes from our proprietary questionnaire database that surface clarity, consistency, and alignment to reveal strengths and opportunities for improvement in capital effectiveness. Learn more about Endeavor’s proprietary Assurance Review Process offering. 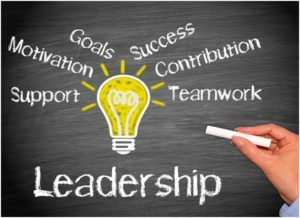 Project Leadership Team alignment to shared objectives, execution strategy and plans and clear roles and responsibilities is a key determinant of project success. Leaders sometimes fail to recognize that they CREATE or CAUSE the environment or culture in which the project team operates – whether highly functional, mediocre or highly dysfunctional. Often the project team mirrors the behaviors of the leadership team. 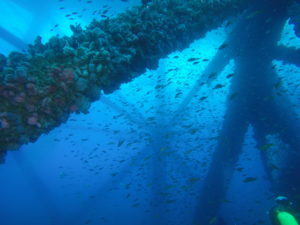 The project team depends on the leadership to manage key stakeholder relationships, both internal and external to the project; to establish priorities; to identify and mitigate risk; to establish effective interface management across internal and external parties; to effectively deploy management of change and to make timely decisions based on accurate and complete information. Endeavor Management can position and strengthen a project leadership team to create a culture of commitment and empowerment. Early engagement during FEED in situ and in workshops, when the core team is being established, have the greatest impact. Most project teams are comprised of engineers who are not skilled in key non-technical competencies required to effectively work with others, such as communication, effective meetings, active listening, conflict resolution, giving and receiving feedback and effective decision-making. While Endeavor Management can provide basic training in these team skill areas, such training is only effective when mechanisms for peer-to-peer and leader coaching are established to reinforce the desired behavioral changes. 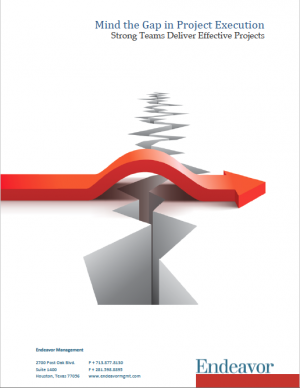 Due to technology, markets, processes, organizations and other factors, companies are passing a complexity threshold. As complexity grows exponentially, so does risk. Endeavor Management’s risk experts bring processes and experience to identify non-technical risks, such as market, economics, social performance, commercial and political risk, which are often overlooked as project teams focus on technical risks. Endeavor Management provides expertise to its clients from perspectives of business leaders, project execution advisors and operations excellence advisors to accomplish the following. Preserving and delivering the project economics that is used to justify the project is essential. Key elements of this are assuring production commitments are realistic and achievable, as well as rigorous vetting and approval of changes that impact these commitments. A scalable activity undertaken at an early stage of its lifecycle, Opportunity Framing is a structured approach to create alignment and clarity between decision executives, key stakeholders and the project team engaged in early concept scope development as to the actual purpose and scope of the opportunity. A key element of this a common understanding of the value drivers to the business; critical success factors and risks. Deliverables from opportunity framing are a decision-based plan or roadmap for progressing the development of the opportunity, including milestones, key deliverables and resource requirements; a frame for what is in scope and what is out of scope; a stakeholder engagement plan; a risk management plan and an opportunity assurance plan. Reframing can be necessary at different stages of opportunity’s life based on changed market conditions or the external environment. Within Opportunity Framing is a key role for Operations, maintenance and reliability. This role is to document the data and assumptions that form the basis for the production promise and to develop a production assurance strategy that encompasses Key Operating Modes; Operation Cycle Conditions; Reliability and Availability Modeling; commissioning and startup systems and sequencing; and finally, production ramp up. Endeavor Management Capital Project Advisors can create a fit-for-purpose Project Management System, or any element thereof, as described herein. Capital Management Process (CMP) – A capital projects portfolio management system that selects the most valuable projects for funding and provide governance for the selected projects. Project Work Process (PWP) – A thoroughly documented methodology for executing capital projects, including step descriptions and roles descriptions within each phase of project development and execution. Best Practices Center (BPC) – A focus for PMS support, including a documentation library, continuous improvement, training and coaching. Endeavor Management Project Advisors provide methodology and facilitation of Project Critique Workshops typically conducted at the end of FEED and at the end of project construction. We use a structured look-back process designed to identify, capture, and share learnings based on a execution versus plan. This process enables multi-disciplinary participants directly involved in the work to discover for themselves what happened, why it happened, and how to sustain strengths and improve on weaknesses. Lessons take the form of actions tied to a work process, procedure, or practice that are standalone (of value in any context) and are transferable so as to have meaning to an individual not involved in the project. Capital project owners and supporting EPC contractors and software / service providers are coalescing on construction-­‐driven engineering as a means to dramatically reduce the cost of capital projects. Supported by IPA, CII’s Advanced Work Packaging research and Fiatech’s Productivity Improvement efforts, Owners are engaging with EPCs, plant design and construction software providers, and materials management solution providers to revolutionize capital effectiveness by moving from a document-­‐centered, deliverable-­‐based process to a data-­‐centric, end user process. Learn more about our Alignment offering here. The cost-influence curve holds fast. Early, effective assurance and identification of key decisions can mitigate cost and schedule overruns. Once in detail engineering and construction, it is difficult, but not impossible, to recover from a runaway train. Fewer options remain on the table, emotions run high, finger-pointing and blame is prevalent. In such circumstances, an impartial and objective third-party perspective is invaluable, if only to provide triage and hold the course. Learn more about our Rescue of Projects in Distress offering here. 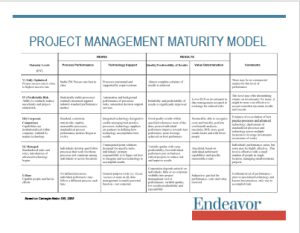 A simplified “one pager” on the attributes for various levels of maturity of a Project Management organization. 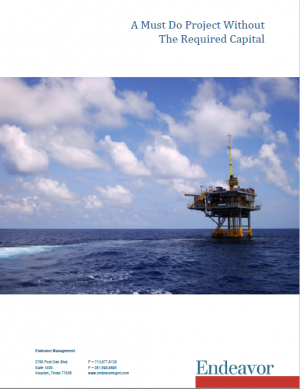 Click on the link below to download this white paper.